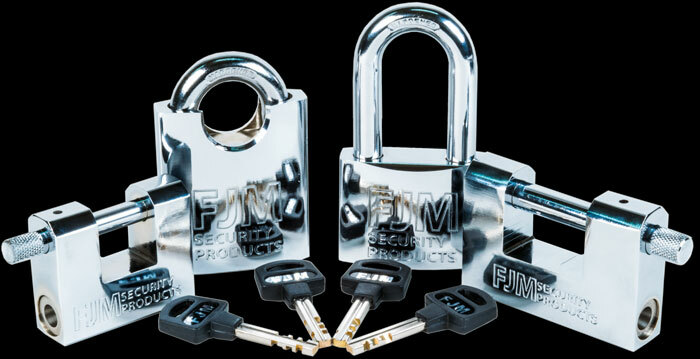 The durable line of FJM High Security padlocks offers high security at an affordable price. 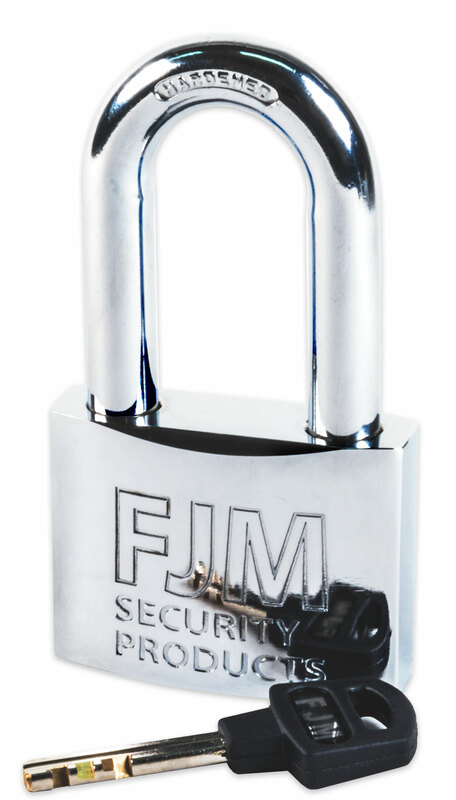 All FJM High Security padlocks have a solid brass body and internal components with a hardened, chrome plated body and shackle. There are no internal spring loaded components to wear out or rust over time. 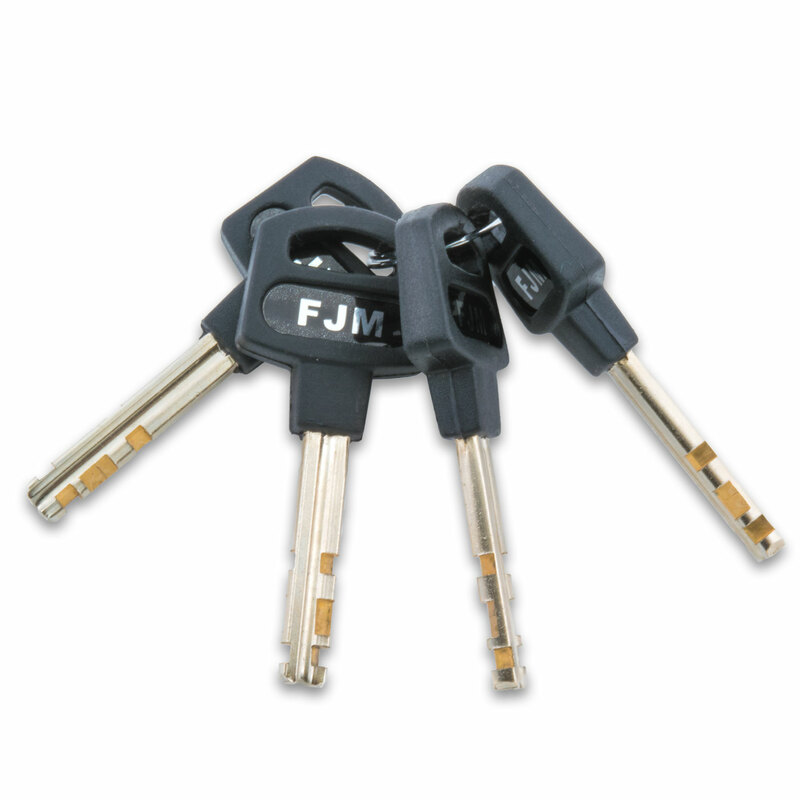 The FJM European style keyway is practically impossible to pick and requires the key to turn 90 degrees prior to engaging with the internal disks. FJM High Security padlocks come with 4 keys and the keys are self retaining requiring the padlocks to be locked prior to removing the key. FJM shrouded shackle padlocks prevent sawing/cutting and have heel/toe double locking. 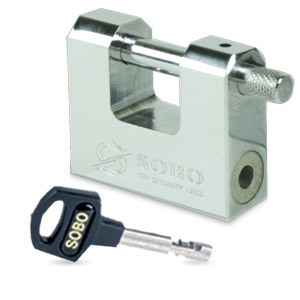 The solid brass shrouded padlocks are excellent for marine use and come in two finishes; the triple plated chrome finish and a durable scratch proof ABS plastic with a protective sliding key way cover. Both styles are available keyed alike series or keyed different. The Jimmyproof “D” shaped locks feature a freely rotating shackle which resists cutting and are available in two sizes – 60 mm & 80 mm. These FJM “D” shape padlocks have the same High Security European Keyway as other FJM keyed padlocks.